Langara Island lies just south of Alaska, off the northern tip of Canada's majestic and remote Haida Gwaii ~ Queen Charlotte Islands. This remote island is the centerpiece to one of the richest marine environments on earth. 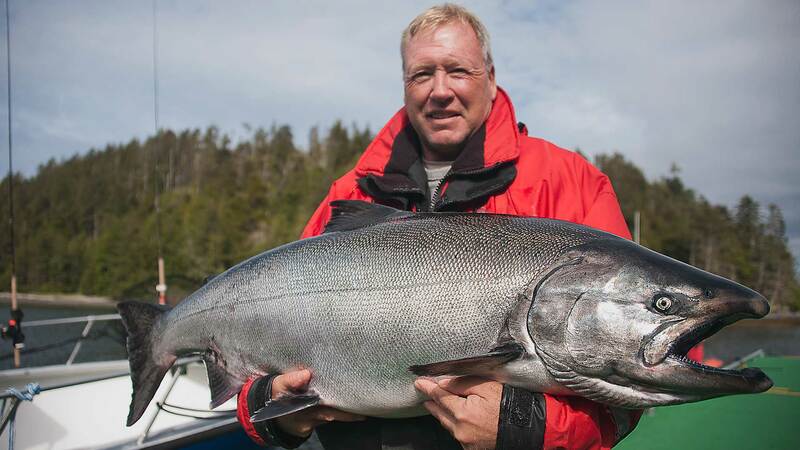 Luxury lodges, world-famous salmon fishing, and spectacular wildlife viewing. All five species of Pacific salmon can be found at Langara Island. The star attractions here are Chinook salmon, ranging from 12 to 70+ pounds, and coho salmon, from 7 to 20+ pounds. At certain times of the season, it is not uncommon to catch three or even four different salmon species in one day. 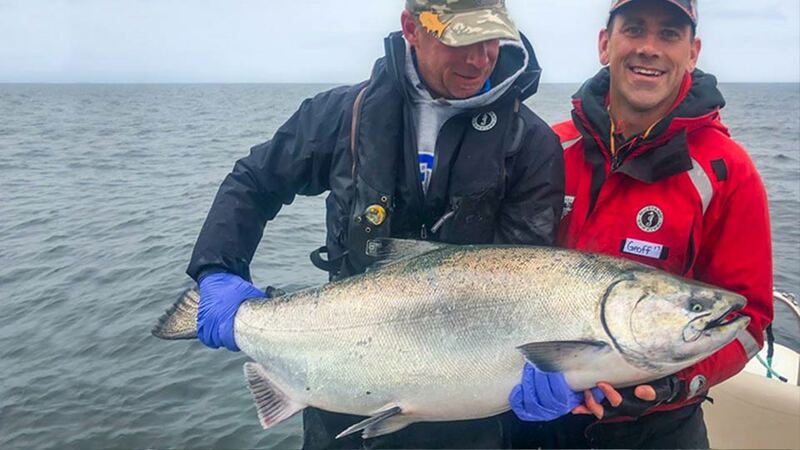 King Salmon: The Langara area record is a 78-pound king salmon. Mooching or slow trolling with herring is the preferred method. Plugs or spoons are also effective. Success can be found in virtually any location around the Island, and at depths from near surface to 300 plus feet. Kings are available all season long. 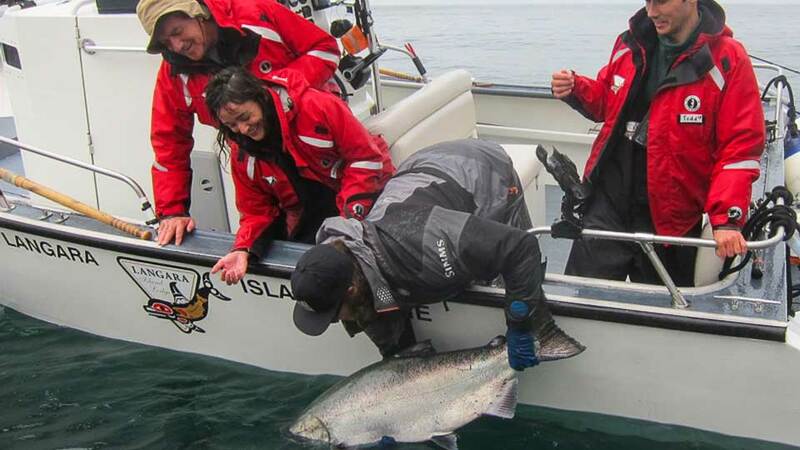 An increasing number of anglers are enjoying fly fishing for silvers in the ocean waters around Langara Island. Silver Salmon begin to appear in early June through September. Halibut and Lingcod are generally abundant in the Langara Island area all season long and are found in a variety of locations, at depths ranging from 60 to 150 feet near shore to 300-500 feet off shore. Gear consists of stout rod and star drag reel with herring, squid, or salmon head for bait. 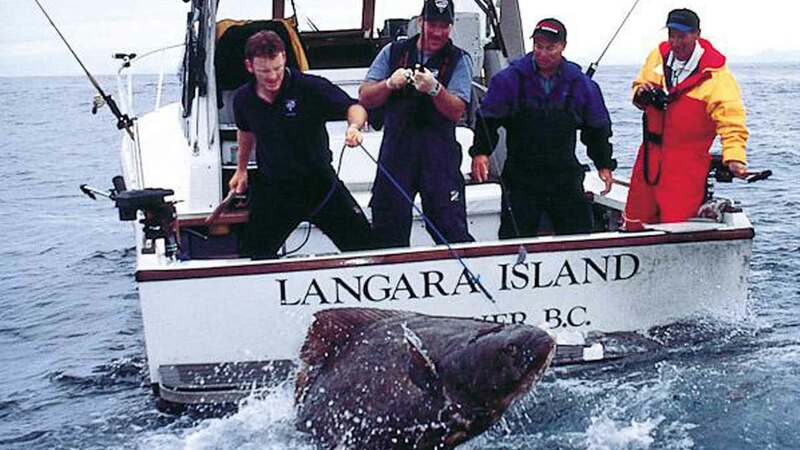 The Langara area halibut record is 307 pounds. 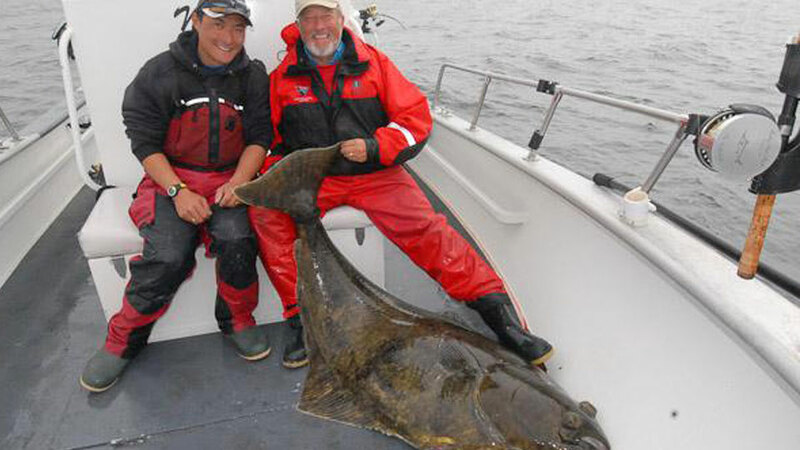 Current size restrictions limit anglers to retaining halibut no larger than 60 pounds and over 48.4 inches long (2018). Lingcod are found in numerous locations around Langara Island in depths from 50 to 500 feet. When initially hooked, they fight similar to salmon. Gear includes salmon or halibut rods, with jigs or herring as bait. 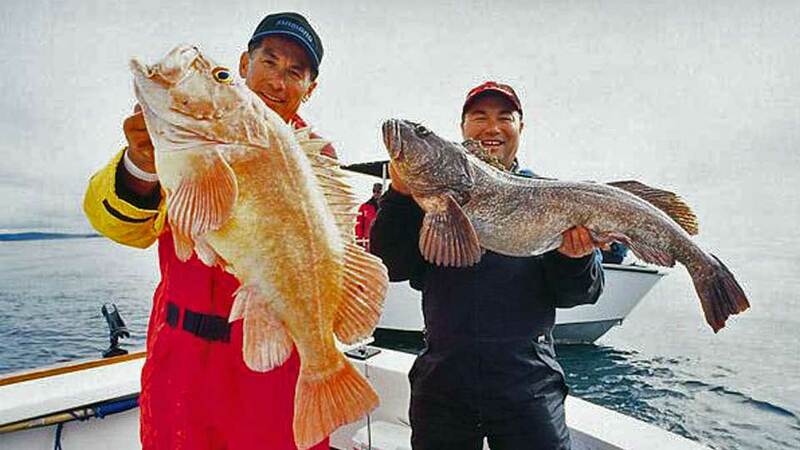 Lingcod are an extremely durable fish with a very high survival rate when released. 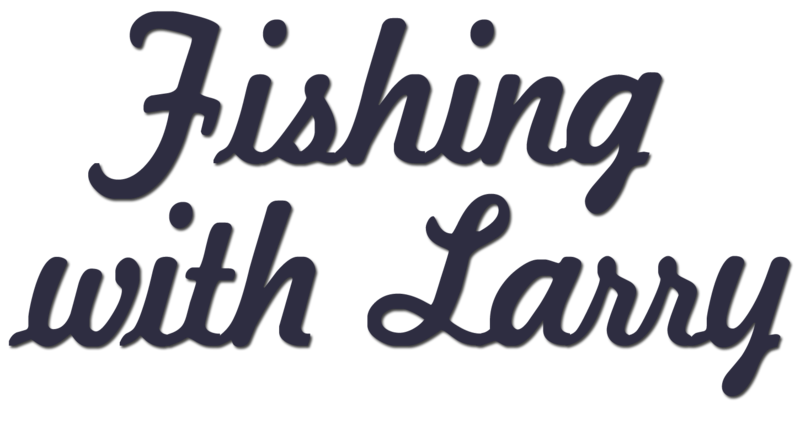 Click here for Langara Fishing Lodge Video. Fishing Season: mid-May to mid-September. Langara's Fleet: 20' and 24' custom-designed, double-hulled, welded aluminum with 75-115 h.p. Yamaha outboards, and 27'-29' Grady White Express Cabin Cruisers with twin 255 h.p. Yamaha outboards. All boats are stocked with Raymarine GPS/fishfinder, AIS global positioning system, VHF radio, and all recommended safety equipment. Equipment: For salmon fishing, 10-foot mooching rods with single-action reels and 25-pound test line, level-wind reels are also available. For halibut and other bottomfish, stout 6-foot halibut rods with level-wind reels and 50-pound test line. They also stock a limited supply of fly fishing gear for guests interested in ocean fly fishing. Of course, you're always welcome to bring your own rods and reels. Bait: Herring is the bait of choice. Mustang Flotation: All guests are provided with a Mustang Survival’s Catalyst Flotation jacket and pants, as well as rubber boots. Fishing Licenses: are not included in the package and are about $35.00 Canadian (2018). 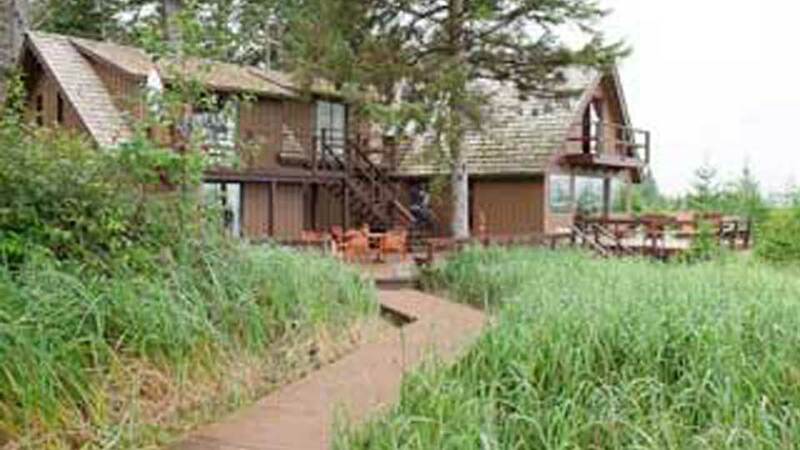 Fishing Areas: Langara's entire fishing area is within close proximity to their lodges. (They have several lodges.) 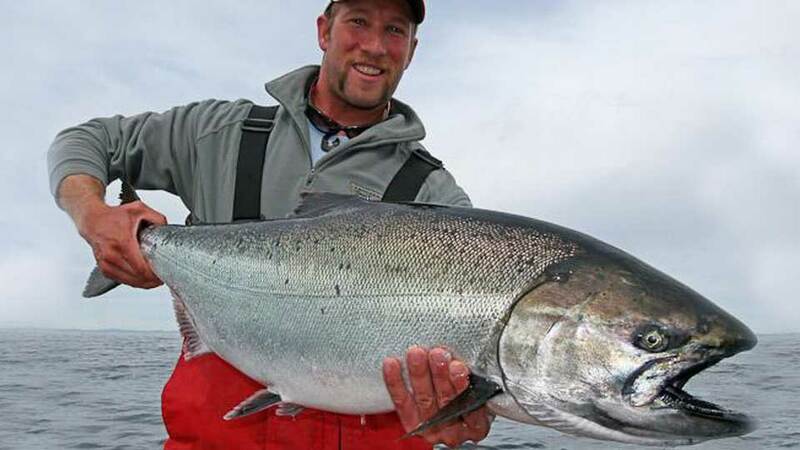 Some of their very best salmon fishing is literally within sight of the Lodge docks. Even their deeper-water bottomfishing spots are no more than 20-25 minutes away. Langara Fishing Lodge, a floating lodge, is nestled in the sheltered waters of Henslung Cove, just minutes from the fishing grounds. Langara Fishing Lodge combines the atmosphere of a classic on-the-water lodge with first-class service and fine restaurant-style dining. The docks are just steps away from the Lodge, providing immediate access to the boats and great fishing grounds. The Lodge accommodates up to 65 guests in very comfortable rooms, all with en-suite washrooms. 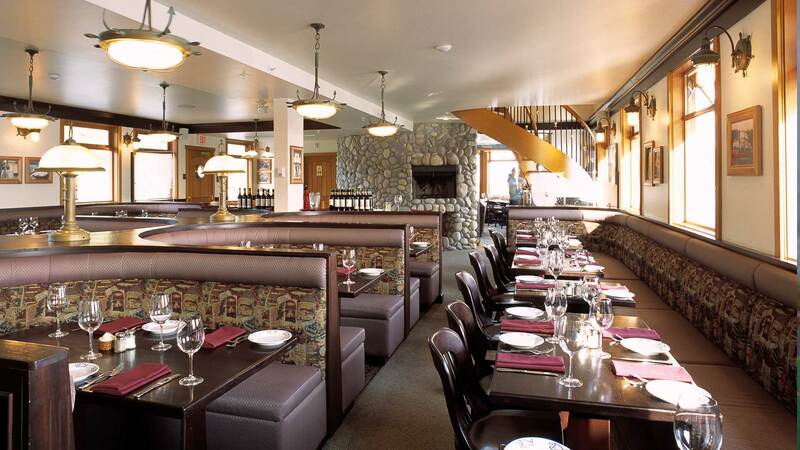 There is a well-appointed dining room, several spacious lounges with bar facilities, hot tubs and a steam room. Every evening features a different menu highlighting up to six different entrées, and accompanied by a selection of fine wines. Click here to view Langara's YouTube videos. Click here to view Langara's Pinterest recipes. Your Langara adventure begins in Vancouver, BC, with a 90-minute 737 flight departing at 7:30 a.m. to the town of Masset in BC's remote Haida Gwaii islands. 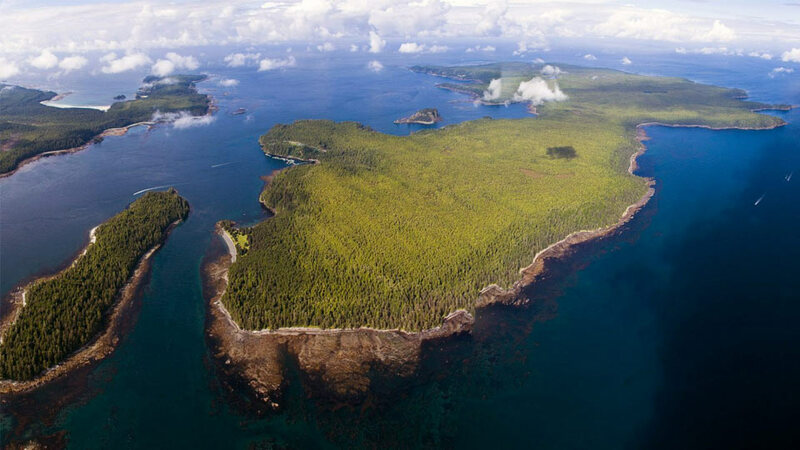 Upon arrival in Masset, you'll take a scenic helicopter flight to Langara Island and the Lodge. The total flight time for both legs of the journey is under 2.5 hours. After a lodge orientation and lunch, guests can expect to be fishing by early afternoon. 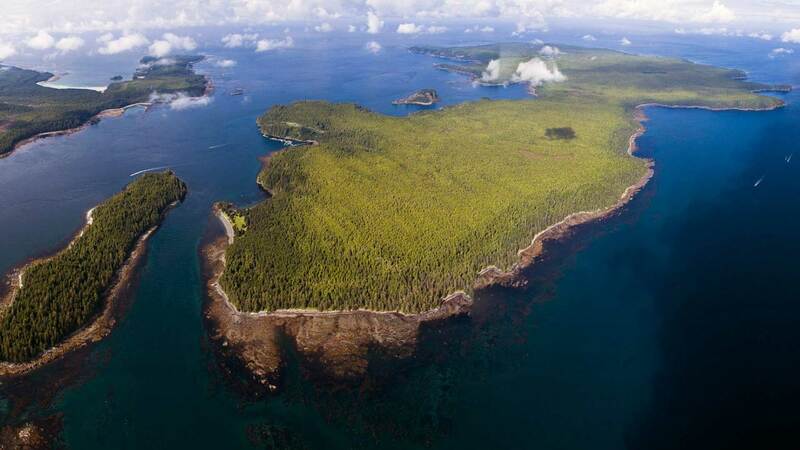 Langara Island lies just south of Alaska, off the northern tip of British Columbia’s Haida Gwaii archipelago (formerly the Queen Charlotte Islands). Rates do not include 5% sales tax. add $3,045.00 per 24’ boat. add $5,590.00 per 24’ boat. Fish unguided and discover the Island’s secrets on your own. add $495.00 to $900.00 per boat. Roundtrip air from Vancouver, B.C., to Haida Gwaii; helicopter or ground transfer to the Lodge (depending on the location of the Lodge), double-occupancy accommodations, all meals and beverages at the Lodge (including alcohol with meals), use of marine clothing and all fishing equipment; and fish care. Pre-trip or post-trip accommodations in Vancouver, gratuities, fishing licenses (available at trip check-in), G.S.T., use of boats (add the option of unguided or guided), specialty fish processing (smoking, canning, etc. ), and anything not mentioned under inclusions. Alaska View Lodge is located along the north coast of Graham Island. It's surrounded by the ancient rainforest of Naikoon Park. This intimate bed and breakfast lodge sits right on the beach between Masset and Tow Hill, has three boats, and hosts a maximum of 12 anglers. 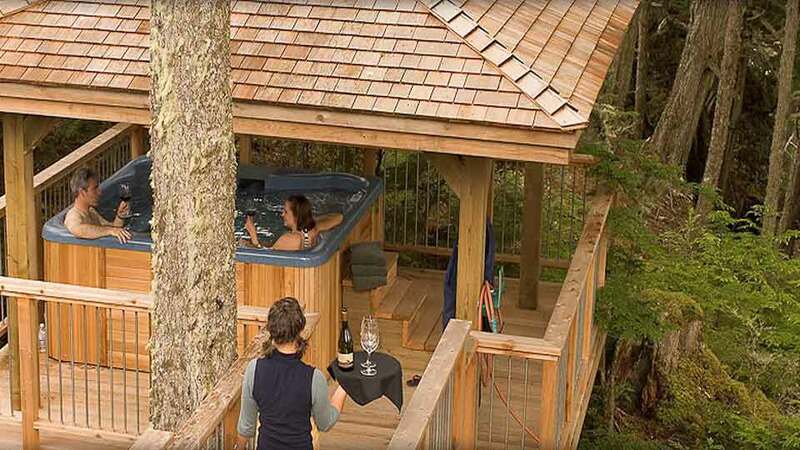 Everything Haida Gwaii has to offer is within reach at Alaska View Lodge. 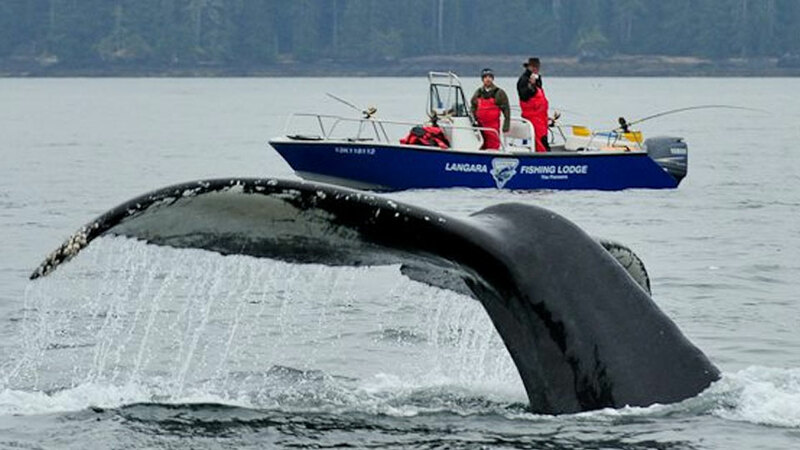 Hiking, beachcombing, Haida museums and galleries, and productive ocean fishing, are all just minutes from the lodge. 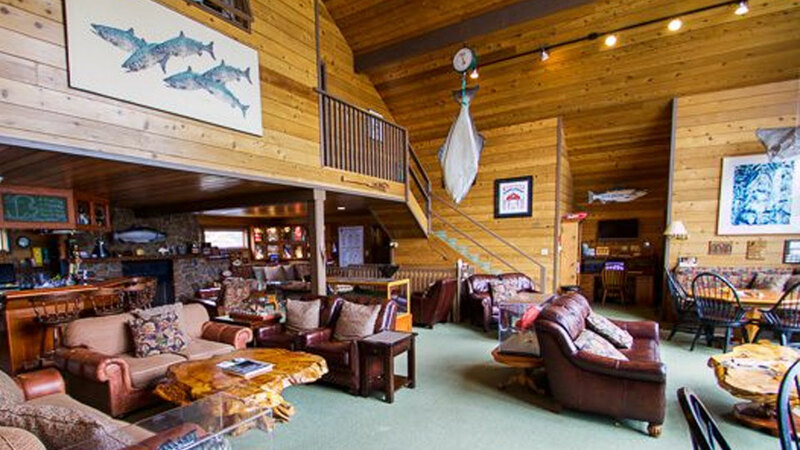 Guests of Alaska View Lodge will be met at the Masset Airport and have the option of checking in at the Lodge or going directly to the docks to begin fishing. Transportation from Vancouver, and helicopter transfer from Masset, is included in your package. Request an information packet for more details. The Lodge delivers lunch to you on the water.